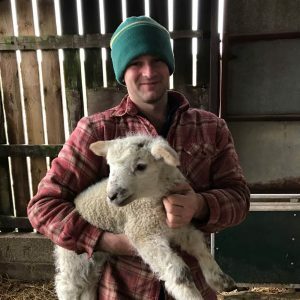 From the moment Joe touched down in the UK after travelling in New Zealand he was busy; be it for local farmers or whilst working in the family business, Purbeck Ice Cream. During this period his passion for farming grew and before long his own flock of 13 sheep appeared on the family farm. 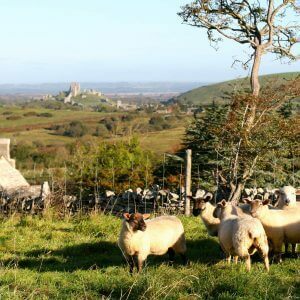 Joe’s other desire, cider, and his love for the Isle of Purbeck began to merge and he soon decided that Dorset deserved to have its own cider produced from some of its long forgotten traditional trees. So, Joe followed his nose, bought some kit and took a punt at making his first batch. Nestled in the heart of the Isle of Purbeck under the shadow of Corfe Castle, the first press was an inspiration, triggering ideas about future fruit supply. Joe’s research into Dorset’s forgotten orchards took him to all corners of the county, from a few trees in back gardens to the remarkable discovery that a 180 acre orchard once grew on Orchard Hill at Kingston, only a stone’s throw from the very site where our cider is made today. Some things are just meant to be. Creating a fine cider can be somewhat trial and error to begin with… batch #1 was testament to this! Traditional methods and oak barrels aside, the bright orange liquid was reserved for Joe’s nearest and dearest only – his friends and family! Honest feedback followed. Armed with a refined method under his belt and the discovery of a 15 tree orchard just down the road in Church Knowle to contribute to his apple stock (this made him very happy) Joe set about crafting batch #2. This time he also tested his production capability producing 10,000 litres of a considerably palatable cider. Suddenly Joe had a lot of thirsty friends. 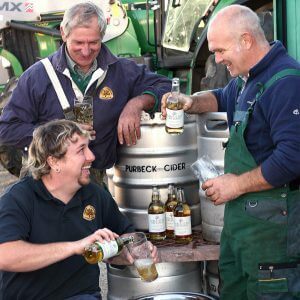 Perhaps more importantly we regard 2008 as one of the most defining years for Purbeck Cider, as fields formerly grazed by Friesian cows on the family farm became home to our first orchard, planting traditional varieties such as Woodbine, Tom Putt and good old Slack-ma-Girdle! Laying the foundations on which the Purbeck Cider Company is built. Whilst a refined batch #3 gathered momentum in the local community Joe never lost sight of sheep farming. The flock had grown to a healthy 250, so whilst it had become far easier herding local cider enthusiasts and critiques (as friends and family became known) to taste yet more free cider, farming had become increasingly demanding. However the big decision lay ahead… no more sample batches, no more testing, it was ‘now or never’ for Joe’s naturally delicious Dorset cider. With local pubs, farm shops and deli’s chomping at the bit for Joe’s hand crafted cider, he loaded up his old van, put on his best shirt and hit the road. 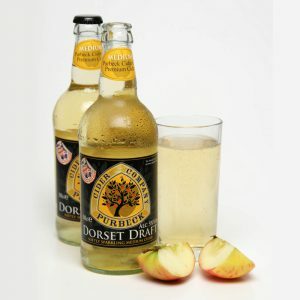 Sales of over 3,000 litres later and the Purbeck Cider Company was up and running. From that moment on Joe became fiercely determined to put the Isle of Purbeck on the map as a premium cider destination. 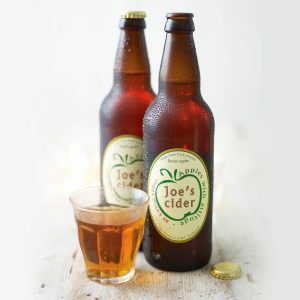 Joe’s Dry Cider is a big hit and overall sales doubled in the second year, partly owing to the addition of Joe’s Sweet cider. 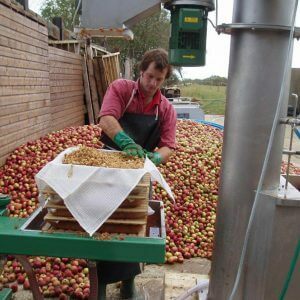 A surge in demand for the finished article saw the introduction of bag-in-boxes alongside the bottles which forced the requirement for a semi-permanent cider house. With more hands needed, particularly for harvesting and production, the team grew. There was a rumbling in the underbelly of the new ‘pop-up’ cider house as Joe and his team experimented with new varieties. Unbeknown to him at the time the result would turn out to be something quite special. In response to growing demand, we launched our first sparkling cider; the deliciously crisp and quaffable Dorset Draft. It was an instant success and there was something about this particular cider that suggested it was here to stay. With a shiny new press on the farm and bottling outsourced, production was streamlined, allowing us to give our labelling a facelift. Dorset Draft became the first cider to carry the now synonymous shield logo. However, increased volume saw us face our toughest challenge yet – harvesting large quantities of apples whilst staying true to our ‘home grown’ ethos. Our own orchard was producing some fantastic fruit, but we needed more. 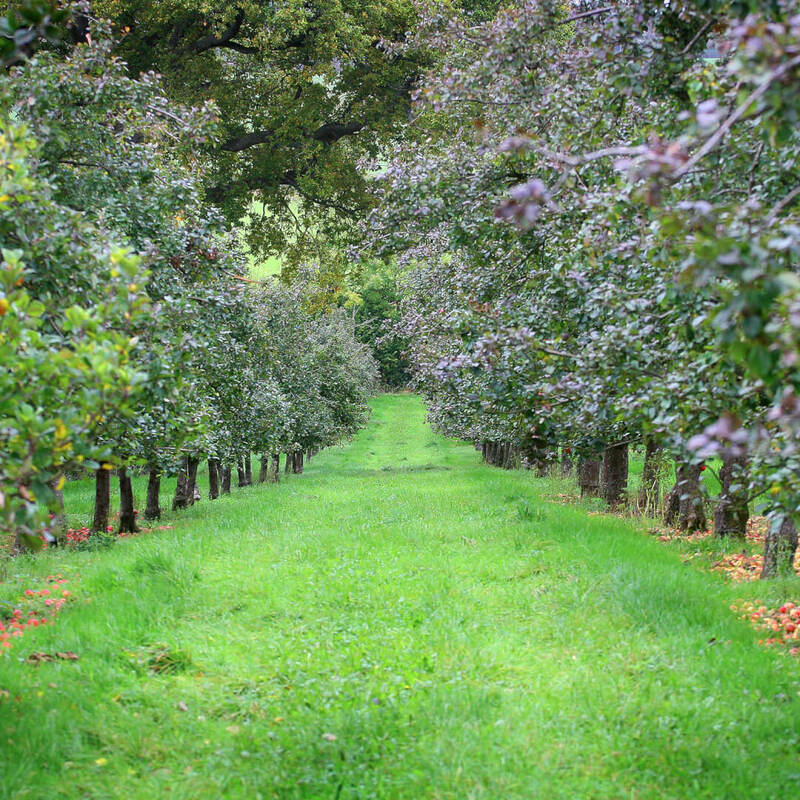 Joe’s early research led us to sustainable orchards in Dorset, capable of assisting Purbeck Cider’s growth ambitions. 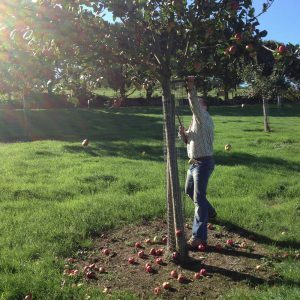 We started working with some amazing people who shared our passion for planting and caring for orchards, as well as taking a Perry orchard under our wing. The finest fruit was now at our finger tips and the proof was in the pudding (or the bottle) as they say. By now the pubs were doing great trade with our bottles and bag-in-boxes, so we had to look for new ways to keep up with the demand for our ciders. Dorset Draft was destined to be poured as the perfect, softly sparkling pint so it was time to start kegging. 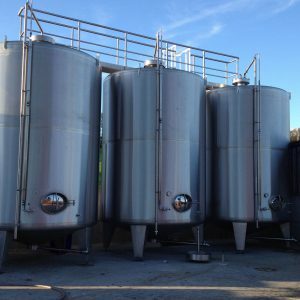 Two further members joined the team and the arrival of more stainless steel equipment meant the pop-up production home was no longer fit for purpose, so it was retired and replaced by our much larger brand new cider house. 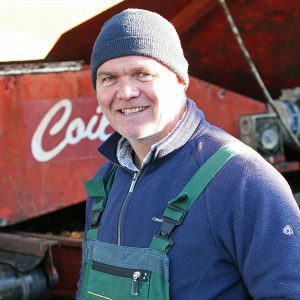 As the rest of the team got their feet under the table and having freed up a considerable amount of time, Joe grabbed the opportunity to go back to doing what he loved most; caring for orchards and blending new and scrumptious ciders. The team replanted an underperforming section of orchard before creating something quite sensational in the form of Dorset Blush, a delicious berry infused fruit cider to add to the range. By 2015 Purbeck Cider was on the march with six different ciders in the range and our first full time cider maker joined the team to ensure every drop of liquid is crafted to perfection in the new cider house. Our small but incredibly passionate team are immensely proud of what they have created so far and see the opportunity to spread our wings and explore our routes to market further afield. A part time sales force is added to the family to extend our reach beyond (but not forgetting) the local accounts that have supported us from day one. 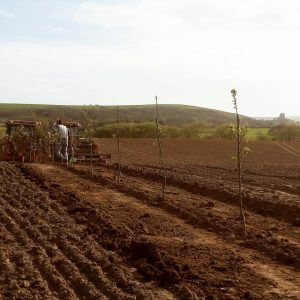 Regenerating and planting new orchards has never been far from Joe’s heart so when Bushy Farm became available (a few miles down the road from our cider home) he couldn’t refuse. An ever expanding flock of sheep required the space, but the opportunity to plant 15 acres of orchard to grow more of our own apples, to make our own cider, was too good to miss. In autumn 2016 preparation to plant our second orchard was in full swing. Meanwhile the team grew again with the addition of a full time drayman. Our premium ciders were now being enjoyed right across Southern England and connecting more with our customers became increasingly important so the part time sales role quickly matured into a full time position. Joe was invited to attend a Goldman Sachs rapid growth business course – maintaining the focus for the business to ensure we lead the field in premium cider production. Our new stand-alone press house was built ready for 2018 production and a kegging line installed at the cider house. This was followed by the release of our ten year anniversary cider, suitably named Purbeck No10. A delicious medium sweet cider crafted and cared for in the only way we know how, using 100% single pressed British apples, no artificial flavours or additives and no concentrates. 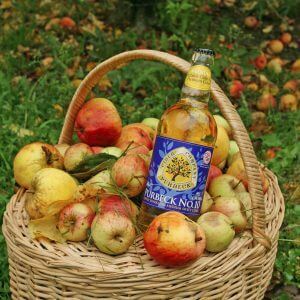 Our premium ciders are enjoyed right across Southern England and connecting more with our customers became increasingly important so the part time sales role quickly matured into a full time role. Joe was invited to attend a Goldman Sachs rapid growth business course – maintaining the focus for the business to ensure we lead the field in premium cider production. Further investment was made with a new press house built ready for 2018 production and a kegging line installed at the cider house. We released our ten year anniversary cider, suitably named Purbeck No10. 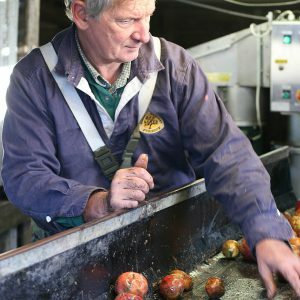 This is crafted and cared for in the only way we know how, using 100% single pressed British apples, no artificial flavours or additives and no concentrates. The highlight of 2017 was the launch of something rather unique; Forgotten Orchard was born, a completely new brand of premium ciders under the Purbeck Cider umbrella. The Forgotten Orchard name stands for everything we believe in and offers a range of both classic and unique blends. The show stopping sparkling Perry in 75cl bottles, crafted from the finest Perry pears, took our cider to a whole new level. Unfortunately bad weather prevented the new orchard from being planted in 2017, however in April 2018 we were lucky enough to get 6000 trees in the ground at Bushy Farm, bringing our second orchard to life. 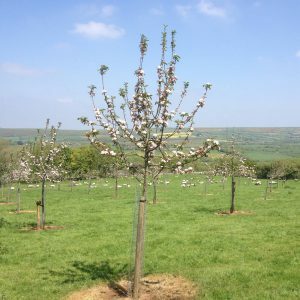 The 200 year living trees planted by Joe and the team in both orchards will stand prominently in the heart of the Isle of Purbeck for future generations to enjoy.